Charlies Angels for the Nintendo Gamecube and Playstation is a truly revolutionary game which has been taken from the multi award winning movie. The game is very good in every way from its graphics to its extremely smooth running game play engine and I found it to be highly entertaining in every way. 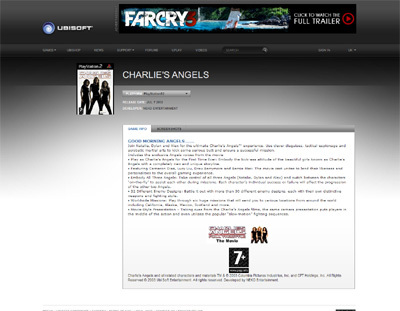 We have also compiled a Review System for this, of which Charlies Angels is Rated as Four Stars, the second highest possible score available from the Game Review Team.